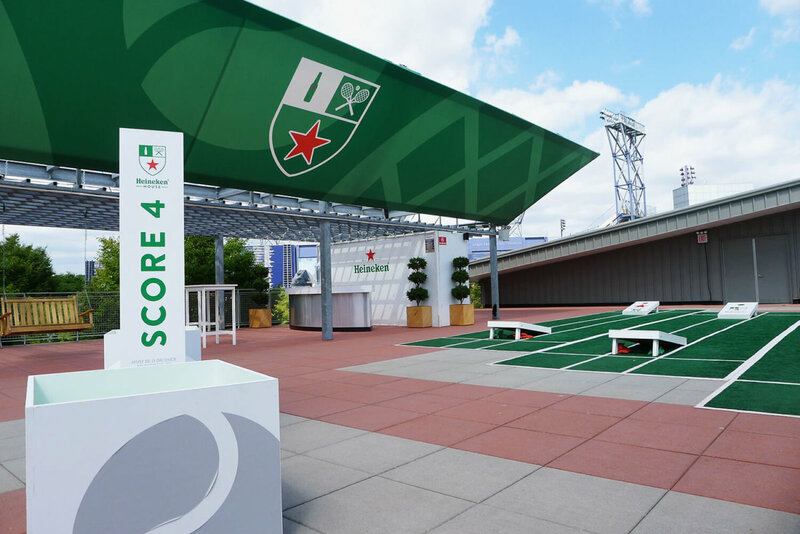 Heineken, a key sponsor of the U.S. Open, enlisted production powerhouse MKG to create an experiential beer garden oasis. 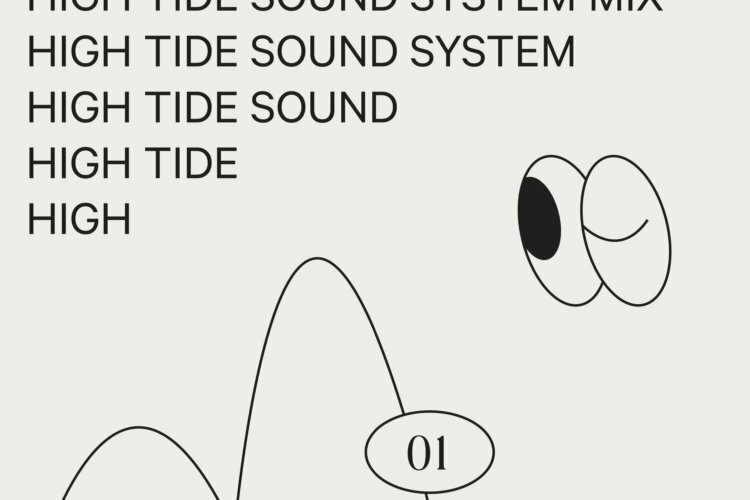 High Tide was tasked with creating a unique logo that would celebrate the coming together of these two classic institutions. 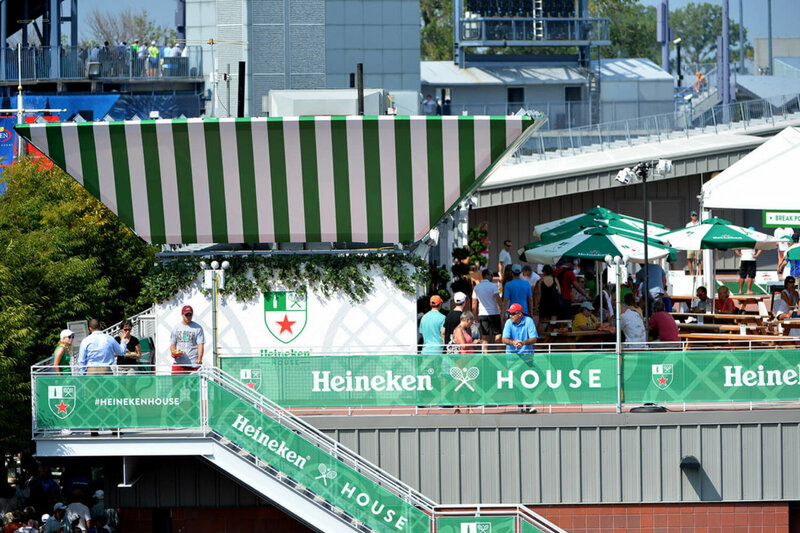 The result was Heineken House – “the best-kept secret at this year’s U.S. Open” according to Tennis.com. 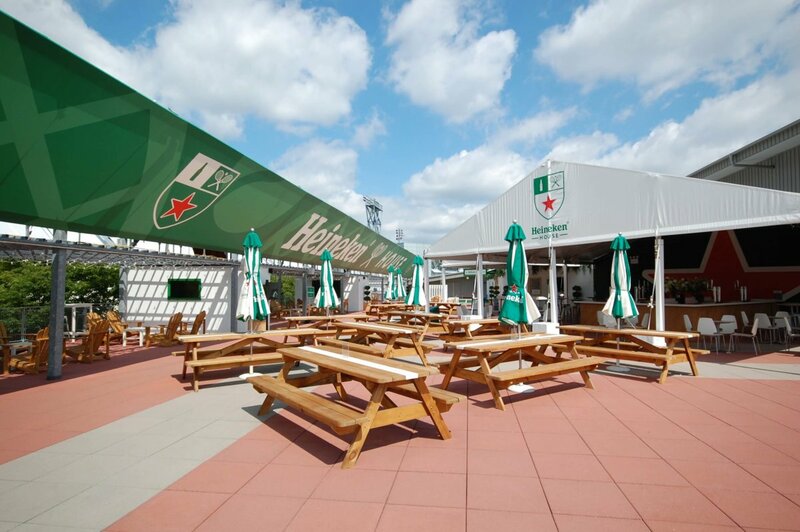 Our coat of arms logo was broadcasted on murals, furniture, cups, staff uniforms, as well as various merchandise throughout the Open.